Tropical Siesta begins in a rural landscape of Vietnam. 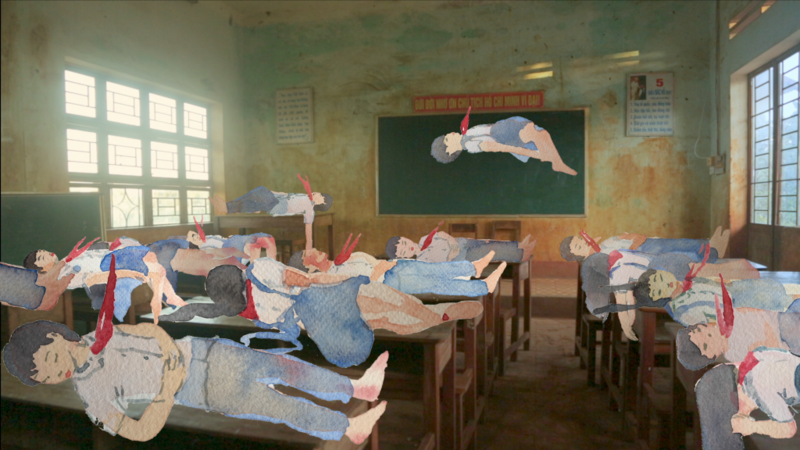 Very quickly, painted images of students sleeping on their school benches appear. A text speaking of how the communist regime has placed agriculture at the center of its economy reads alongside the images. The script tells of how children have access to only one book History of the Kingdom of Tonkin (1650) by Alexandre de Rhodes, a French Jesuit missionary. In different scenes, children interpret the stories of the book to escape from reality. 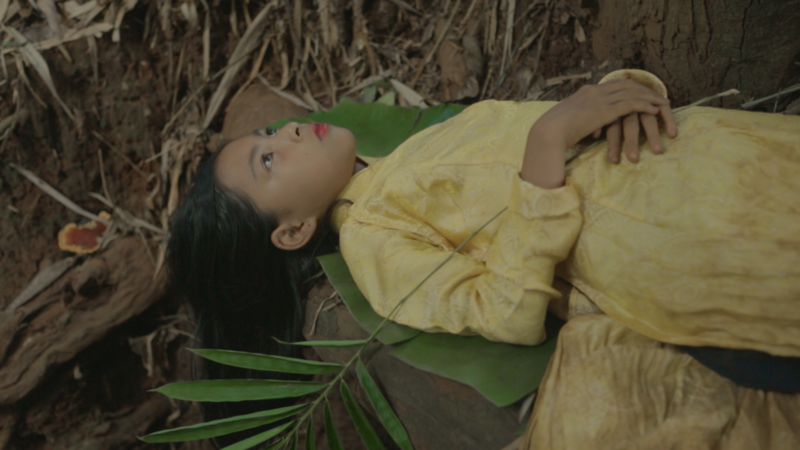 The landscape of Tropical Siesta recalls the dark period of Communism during which many people were deported or executed— a history that was not written, the amnesia of a people to which the innocence of children respond. Phan Thao Nguyen works traverse painting, video and installation. She is interested in historical events, narrative traditions and minor gestures that challenge received ideas and social conventions. Nguyen’s work combines references to history, literature, philosophy, and open poetic spaces conducive to reflection.